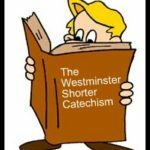 Q: Wherein did Christ’s humiliation consist? 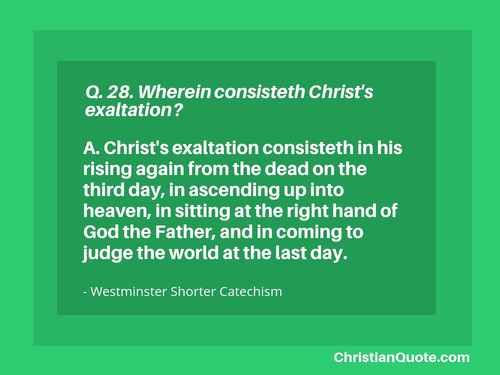 A: Christ’s humiliation consisted in his being born, and that in a low condition, made under the law, undergoing the miseries of this life, the wrath of God, and the cursed death of the cross; in being buried, and continuing under the power of death for a time. 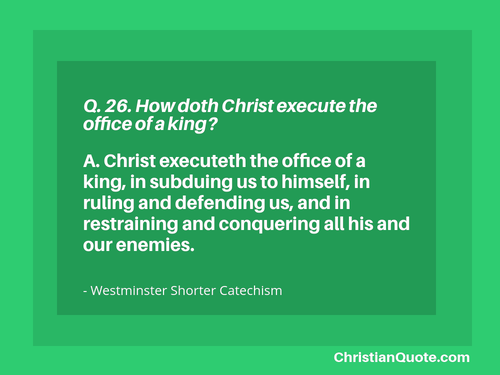 A: Christ executeth the office of a priest, in his once offering up of himself a sacrifice to satisfy divine justice, and reconcile us to God, and in making continual intercession for us.